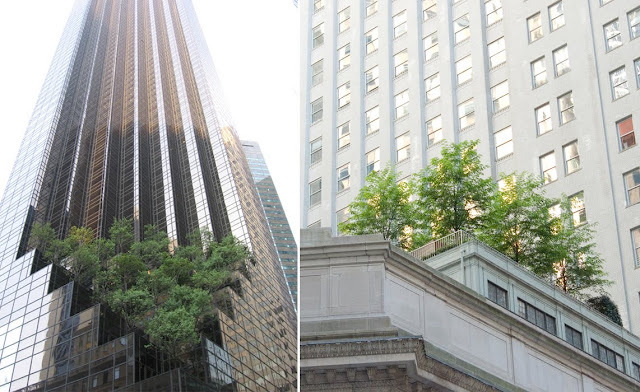 i'm sure we have buildings in chicago with trees on them. i just don't recall seeing any. how cool is that? too great shots... especially side by side.